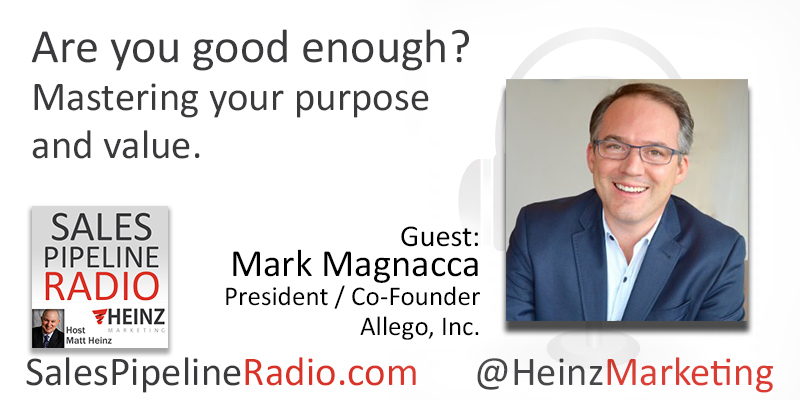 Mark Magnacca joins Matt Heinz on this episode of Sale Pipeline Radio! Listen in to see why practice for sales professionals is so important and as Matt and Mark ask the question-- "Are you good enough?" This concise book will help dramatically increase your effectiveness in any sales situation. Learn ten ways to apply the powerful So What Mindset in two hours or less. So What? is a seductively simple concept.